Projects based on mutual understanding and those that bring people together are the best way to strengthen cultural ties between any country and the UK, says Clare Sears, Director of the British Council for Serbia and the Western Balkans. Since its founding in 1934, the British Council has operated under the same mission: to enhance the reputation of the United Kingdom in the world. 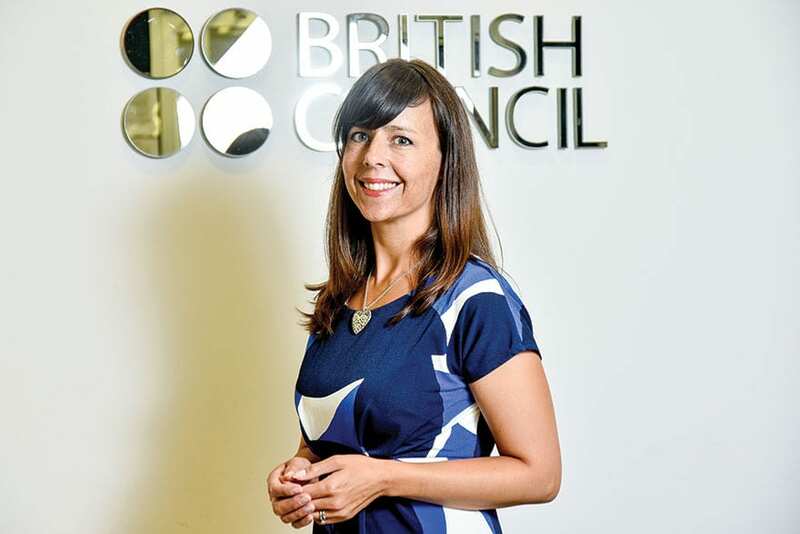 Today, the British Council works in over 100 countries worldwide, including the office in Serbia that has promoted cultural and educational relations for decades and is running various programmes in the arts, education, governance and English language.On the occasion of the 75th Anniversary of the British Council in Serbia, in September 2015, Clare Sears was appointed Director for Serbia and the Western Balkans. At the very beginning of this interview, Ms Sears says that people from the United Kingdom and Serbia, as well as those from other Western Balkan countries, could learn a lot from each other. There are several strategic priorities that the British Council works on in Serbia and the region. First, the British Council supports reforms in Serbia in different areas. As we hear from our interlocutor, this support ranges from reforming Serbia’s Judical System, working on cultural policy, improving educational programmes, capacity building etc. In addition, the emphasis is placed on supporting young entrepreneurs and creative entrepreneurship, as well as digital arts, film and music. The British Council’s educational work in Serbia is well established. However, educational reforms represent a necessity throughout the region. – Teachers have to adopt a 21st century skill set, while we also strongly encourage entrepreneurial learning. The British Council coordinates the project “Education for Employment”, with the goal of enabling the exchange of experience in solving the problems of unemployment, development of entrepreneurship, innovations, poverty reduction and economic development. The project supports reforms in the Republic of Serbia in Human Resources Development, with the focus on education and employment policies, cooperation between sectors by offering UK experience and support, as well as finding out how entrepreneurial learning is implemented in UK schools. Vocational education is another important issue that brings together business and education. Shakespeare connects countries globally and his legacy is even more popular outside of the UK. This year, the British Council marks the 400th anniversary of this writer’s death with a global programme of events and activities – Shakespeare Lives. A conference led by Dr. Ewan Fernie, Professor and Chair of Shakespeare Studies at the Shakespeare Institute, was the first in a series of events organised in Serbia and it was a great success. Most recently, the international competition “Share Shakespeare” took place, engaging creative practitioners from Serbia, Bosnia-Herzegovina, Croatia, Ukraine and the UK. “We received 44 proposals and the judging panel had a very difficult task. The awarded project was a video game concept “A Midsummer Night’s Dream – Replayed” by Agoul, a gaming start-up from Novi Sad. We looked for an idea that synthesises Shakespeare’s ideas and is aimed at a younger audience,” explains Sears, adding that there will be many smaller events and activities until the end of the year. Following great successes in Tel Aviv and Istanbul, the project “Mix the City” comes to the Balkans. Sears is very excited about this project, which the British Council is organising together with the EXIT Festival, and describes it as very vibrant, colourful, energetic, bright…Truly, this initiative seems inspiring, as “Mix the City – the Balkans” invites the world to an interactive music video platform where anyone with a computer or a mobile device can create their own music video mix of the Balkans and instantly share it with friends on social media. The special guest star is Ghostpoet, a UK-based recording artist. On a journey through Banja Luka, Belgrade, Budva, Novi Sad, Pristina, Sarajevo, Skoplje and Tirana, 12 musicians from the region will create a unique musical experience and their work will be featured on the platform. Once “Mix the City – the Balkans” is launched, audiences across the world will be able to easily explore and experience the sights and sounds of the Balkans at their fingertips. The project will be available at www.mixthecity.com from July 2016. “I expect that more than a million people will remix the sounds of the Balkans. It will be even bigger success than Tel Aviv!” says Sears. “Invitation to join the Mix the City project was a bit of surprise and a dare. I found a challenge in a fact that you only get about 2 bars (like less than 5 seconds), to create a fragment of a song to be. Since I was the first to record I felt like a blindfolded painter, being asked to cast a first stroke…So I did just that. Closed my eyes and made small stroke in the colour of Serbian bagpipes. No idea whats gonna come out of it, but it will be fun for sure.” said Slobodan Trkulja. This project, like many others that the British Council initiates, is based on mutual understanding. According to Sears, the key is in joint conversations between the UK and other cultures. Projects that bring people together are the best way to strengthen cultural ties between any country and the UK. In the contemporary world, digital technology fosters communication and enables the kind of joint conversations that Sears mentions. – Understanding the audience and its needs is crucial. We have always emphasised conversation and only the means have been changed: now the conversation happens in the world of social media. Youth has been important for the British Council and, thus, we have English-leaning apps, various online materials, offering the possibility of distance learning and, of course, we are present on social media. Digital technology is not only important for young people. The New Technologies in Education conference attracted the attention of educators. Through this event we wanted to help pre-school institutions, schools, universities and other institutions involved in education to become more innovative, modernise the learning process and exploit all the possibilities provided by new technologies. Equally as important as embracing new technologies is motivating people in the Western Balkans, especially the youth, to participate in cultural activities. Mutual cooperation, again, is the key for cultural relations. The British Council implements the programme “Moving Museums”, dedicated to exploring how best to create a dialogue between young people (aged 18-24) and their museums. The project in the Western Balkans assists museums in achieving better communication with younger audiences and actively involving them in their programmes. In that regard, seminars and study visits are organised and an online platform is also established as a way of enabling knowledge sharing between local institutions and those in the region. During their official visit to Serbia, the Prince of Wales and The Duchess of Cornwall visited the Matica Srpska Gallery, as one of the museums included in the project. Finally, the exhibition “Belgrade to Bowie” gained a lot of attention. Clare Sears says she was struck by how much people in Serbia mourned the famous singer. An extensive exhibition of photographs by world-renowned music photographer Brian Rasic, who was Bowie’s official photographer for more than two decades, captured some of the most iconic images on and off stage. Of course, Sears visited this exhibition, just like she visits numerous cultural events in the city. – I like the fact that Belgrade is passionate about culture. The scene is very diverse and people visit cultural events a lot. I am still expoloring the Serbian cultural scene, she says. Several cultural events impressed her in particular: the Pupin exhibition, Mikser Festival, the exhibition of Nadežda Petrović in the Gallery of the Central Military Club and the Pavle Beljanski Memorial Collection in Novi Sad. She also admires great fashion by young designers in the Fashion district. In her free time, Sears likes to take her chidren to Ada Ciganlija. “I would like to visit as much of Serbia as I can,” concludes Sears at the end of our conversation. In 2014, research by IpsosMori for the British Council demonstrated that the person young people overseas identified more than anyone else with contemporary British culture was William Shakespeare. A YouGov survey commissioned in 2015 by the British Council shows that Shakespeare’s international popularity is very high. Shakespeare is widely known, liked, understood, and thought of as relevant today. Some 78 per cent of those questioned around the world had experienced Shakespeare’s work. The research shows that Shakespeare is now more popular in many other countries than he is in the UK.